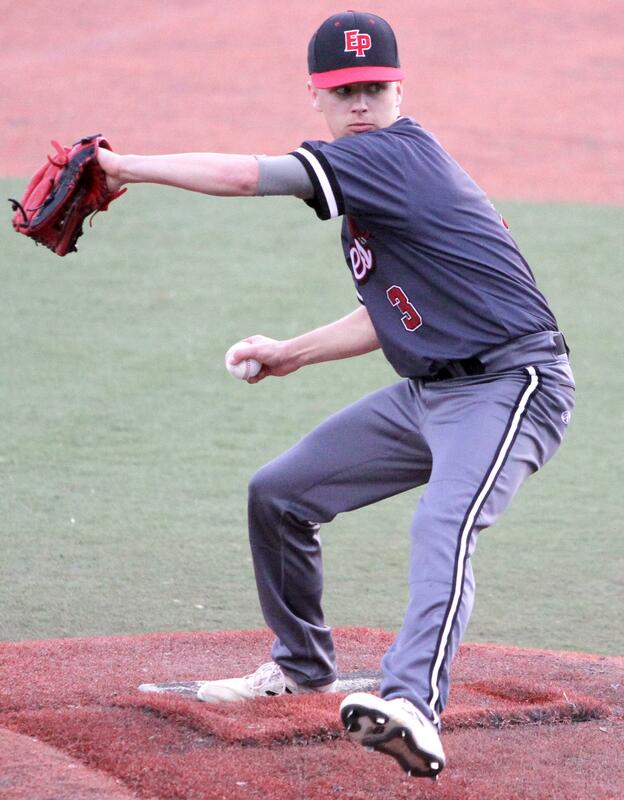 Veterans Memorial Field at Minnetonka High School was host to an impressive pitching duel on Tuesday night as Eden Prairie and Minnetonka combined for 26 strikeouts, five hits and one run in the opening Lake Conference game for both teams. The Eagles (1-0, 1-0) scored the only run of the contest, opening their season with a 1-0 win over the Skippers (2-2, 0-1). Stritesky allowed just one hit, a walk and finished with 11 strikeouts in six-plus shutout innings. “I couldn’t ask for anything better, this is honestly awesome. Getting out here and finally getting to play outside — I love it,” Stritesky said. Buteyn said he spoke with Stritesky during the game to see how he was feeling, and he kept hearing the same thing over and over. Stritesky went to pitch the bottom of the seventh inning after throwing 83 pitches through the first six. He walked Nick Thimsen, who ended up being his final batter. Brandt Thompson came in with the inherited runner and got the next three Skippers (2-2, 0-1) out to secure the win. 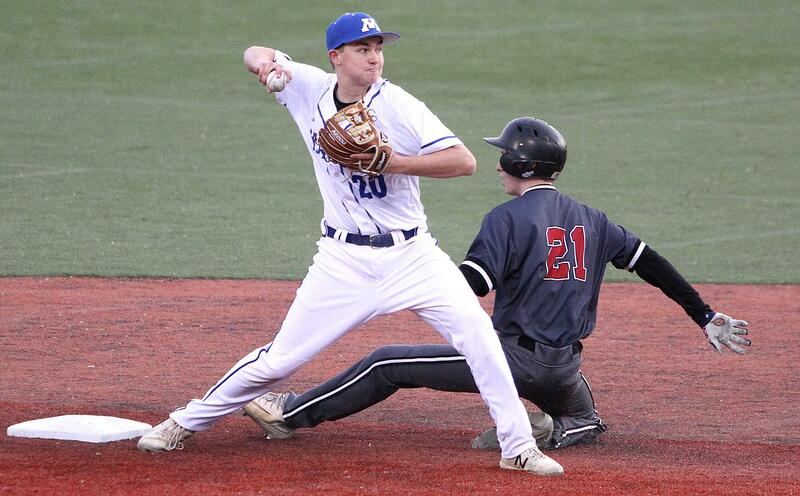 Stritesky’s performance steals headlines since he was the winning pitcher, but Minnetonka’s Mitch Klass was very impressive as his counterpart. Klass threw 10 strikeouts over the course of five innings, allowing four hits, one walk and one run. The one run Klass gave up came off the bat of Luke Anderson, who got the game-winning hit in the top of the third. Jordan Amundson had reached on a fielder’s choice to get the first out of the inning. After Minnetonka recorded another out, Amundson stole second base at the start of Anderson’s at-bat, putting himself in scoring position. 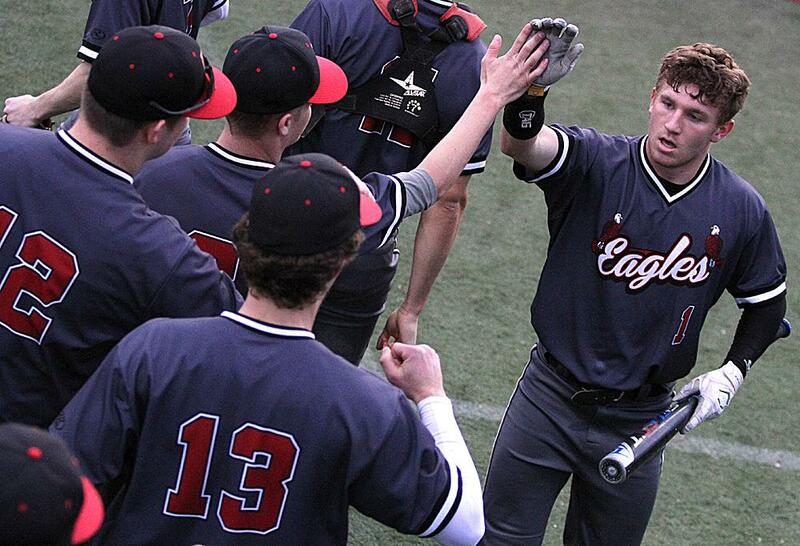 Anderson responded with a clutch hit, which proved to be all the Eagles needed to win. Eden Prairie opened its season with a 1-0 win against Lake Conference foe Minnetonka at Minnetonka High School on Tuesday night. Tyson Stritesky got the start for the Eagles (1-0, 1-0) and pitched an absolute gem, allowing just two base runners in six-plus innings of work while racking up 11 strikeouts. In the bottom of the seventh, teammate Brandt Thompson came in with the tying run on first and held on to pick up the save. Luke Anderson got the game-winning hit in the third inning, as he lined a single down the left field line to score Jordan Amundson. Amundson had stolen second base earlier in the at-bat, which came with two outs, to get himself in scoring position. 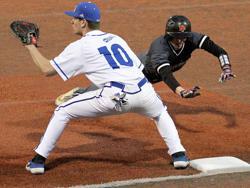 The Eagles’ bats were smothered by Skippers pitcher Mitch Klass for the rest of his start. He had 10 strikeouts in five innings pitched and allowed four hits. The only Minnetonka (2-2, 0-1) batter to pick up a hit was Evan Steingas, who ended Stritesky’s perfect game with a single in the bottom of the third.